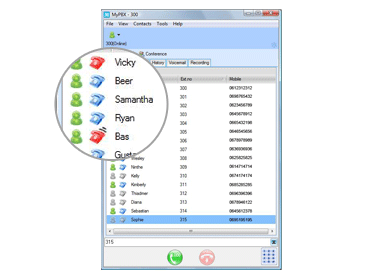 With MyPBX client you can easily,manage and control your phone from your computer. 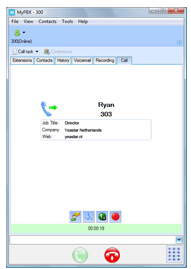 The myPBX client connects your PC to your phone and you can initiate a call from your PC, transfer the call, you can see other phones, a conference call can set up, you can manage your contacts ,can see your call history, listen to the status voicemails, etc. In short, it is a versatile application as an extension of your phone. A visual representation of the availability of each phone. 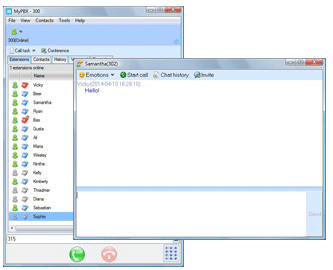 On the basis of colors and symbols in the myPBX Client to read if someone is available or already in conversation. 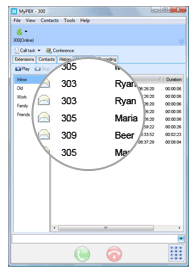 Voicemails are displayed in the myPBX Client and are easy to listen to, manage and delete. 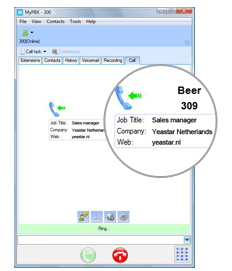 With myPBX client is easy to start, end and two calls. 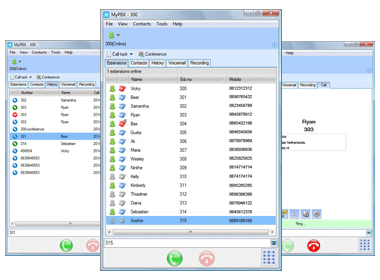 The myPBX Client has besides the extension list also has its own directory, which contacts are easy to manage. 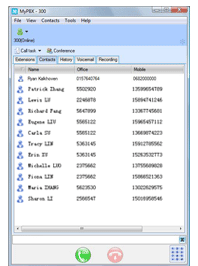 Simply make a call by clicking on an extension or a contact in the address book. 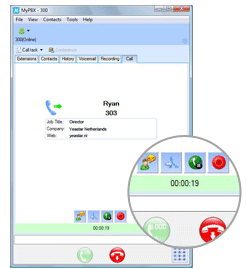 For each incoming call, a popup appears with all known information about this conversation.